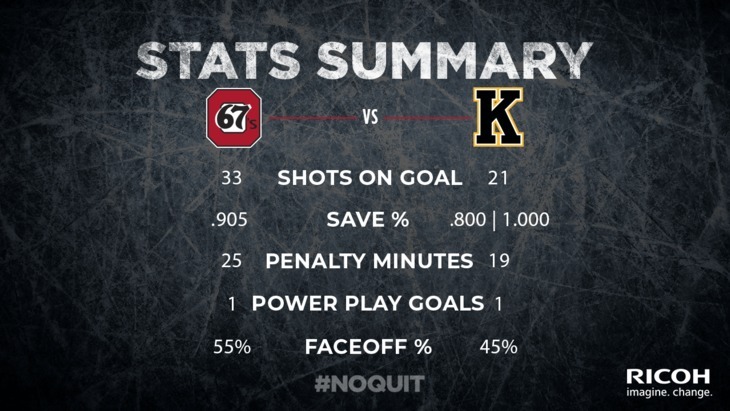 The Ottawa 67’s dug themselves out of their snow-covered city and dug in against the Kingston Frontenacs in a tidy 4-2 road win on Wednesday night. 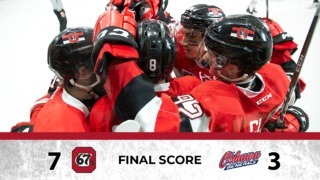 Sasha Chmelevski led the way offensively with a goal and an assist, while goalie Will Cranley stopped 19 shots for the win, his fourth victory of the year and his team’s 41st. Chmelevski opened the scoring midway through the first period. 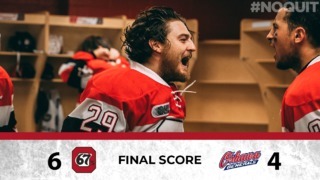 After Nick Wong pulled Kingston even with less than three minutes remaining, Lucas Chiodo restored Ottawa’s lead with less than a minute remaining in the opening frame. Austen Keating, with his 18th, and Merrick Rippon, with his fifth, scored in the second period to give Ottawa 4-1 lead heading into the final frame. 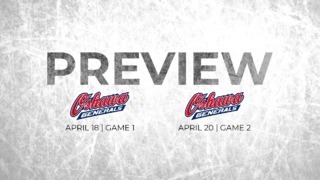 The Ottawa 67’s are back in action Friday when the host the Hamilton Bulldogs at 7 p.m. in the first of three home games in four days for the Barber Poles.